We make it easy to find your dream car at Danbury Volkswagen. Whether you are looking for an auto loan or a car lease, we can help you find great Volkswagen financing options in Danbury, CT. Our finance specialists work hard to secure your vehicle at a price that suits your budget. Because we work regularly with banks and financial institutions, we'll work hard to negotiate a fair price on your Volkswagen sedan, crossover, or SUV. To get started, fill out our online VW financing form or come see the Volkswagen financing team at Danbury Volkswagen. 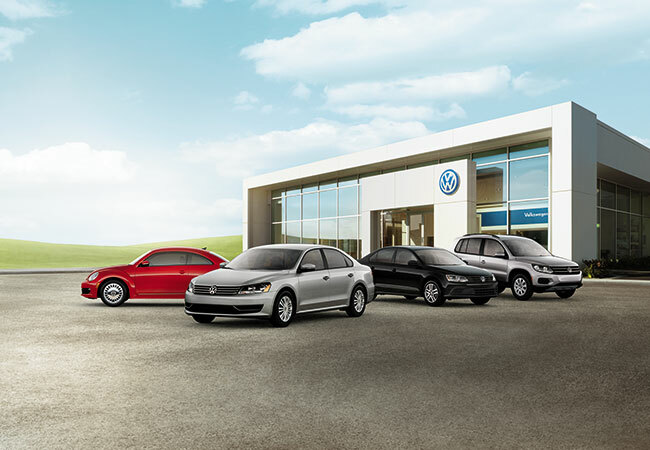 Stop by our beautiful showroom today to learn more about the available Volkswagen models at Danbury Volkswagen. Check out the new Volkswagen Jetta or mid-size Volkswagen Passat. If you need to cover a variety of terrains in your SUV, test drive the stylish Volkswagen Tiguan or luxurious Volkswagen Atlas. A perfect fit for cruising around town as well as weekend road trips, the Volkswagen family of vehicles inspires adventure. For more information about Volkswagen financing in Danbury, CT, stop by Danbury Volkswagen for your exclusive test drive. Our team in Danbury, CT can help you achieve your financial goals. From exploring trade-in value options and evaluating current VW financing specials to estimating your monthly payment and more, we're ready to help. If you are ready to discuss your Volkswagen financing options, fill out the finance application on our website or get in touch with the financing specialists at Danbury Volkswagen today.